PRODUCT DESCRIPTION: Blue, concentrated, thick shampoo with aloe and other conditioners as well as pyrethrin. WHERE TO USE IT: On pets such as dogs and cats. It is labeled for puppies and kittens over 4 weeks old. RATE OF APPLICATION: Depends on the size of the pet. 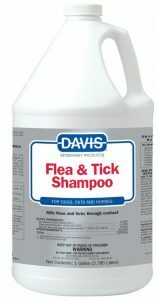 It is concentrated enough that a tablespoon will easily shampoo most 15 lb pets. 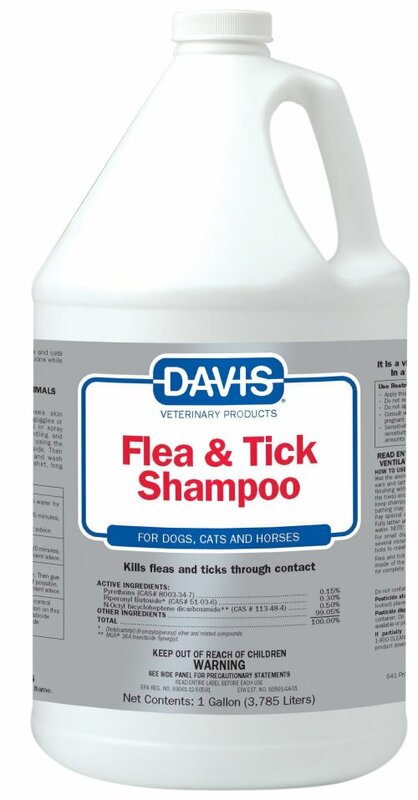 RELATED PRODUCTS FOR THE PET: FLEA COMB OXY MED ITCH RELIEF SPRAY MELALEUCA SHAMPOO WATER BASED (GENTLE) PERMETHRIN PET SPRAY PETCOR (alcohol based – strongest pet spray available – KILLS FLEA EGGS!!) FLEA DIP CONCENTRATE FLEA POWDER (for treating dogs and cats). In general, Bifen XTS is best used outside and applied using a pump sprayer and/or a good hose end sprayer. For inside the home, the water based Bifen IT is better suited. It can be applied to baseboards, carpeting, furniture, etc. using a good pump sprayer like the Solo (link above). Now for crawl spaces, liquids are "okay". Typically crawl spaces absorb any kind of liquid and this will diminish the residual action of the treatment. That means you should expect to treat every 1-2 months under normal conditions; if the area is moist, expect to treat more frequently. Like the living spaces, the pump sprayer listed above would be the best option to treat the area. Given the limited reach of the sprayer, this could prove hard to do if the crawl space is "tight" or hard to navigate. So if using a liquid will be hard to apply, consider using a dust. Deltamethrin Dust can be applied using a Dustin Mizer making the job a lot easier. And it will provide much longer protection compared to a liquid. Dusts like Deltamethrin will lay on the dirt surface and not get absorbed which is a huge benefit. As for attics; using a liquid up there is generally never suggested. The main reason is that liquids can leak down into living spaces. But like crawl spaces, the dry absorbant space will render most any liquid useless taking away from its residual action. For these reasons its best to treat with a dust in these areas too. Deltamethrin Dust applied in any attic will keep it protected for 6-12 months so you don't have to treat up there frequently. And since the Dustin Mizer can propel the dust a good 20-25 feet, most applications are "easier" to do compared to applying a liquid. Now if more "reach" is needed than what a Dustin Mizer can produce, rent or buy our Electric Duster which will project the dust 30-40 feet no problem.